Separate dough into 10 biscuits. Separate each biscuit into 4 layers; place on greased cookie sheets. Spread each biscuit layer with 1 teaspoon pizza sauce. 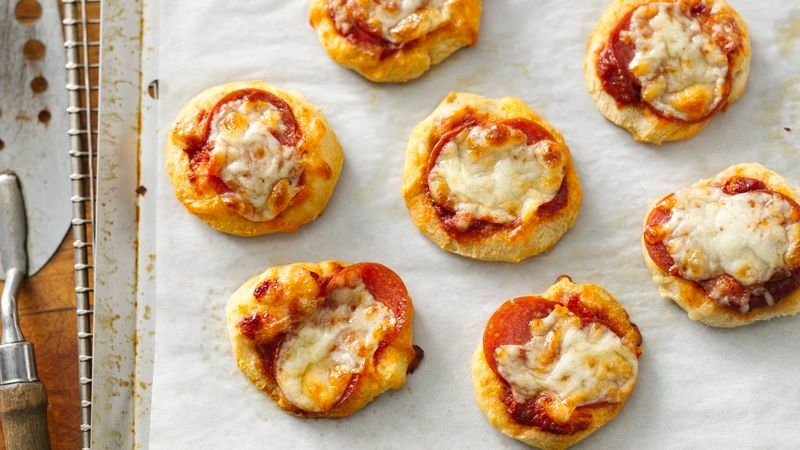 Top each with 2 pepperoni slices and about 2 teaspoons cheese. Bake at 400°F. for 7 to 9 minutes or until biscuits are golden brown.